You’d be forgiven for thinking that it may be impossible to locate cables inside concrete slabs or concreted areas. But we can still assist you! Concrete Scanning is a non-destructive method of finding the location of steel reinforcing bars, post-tension cables and power cables within the concrete. 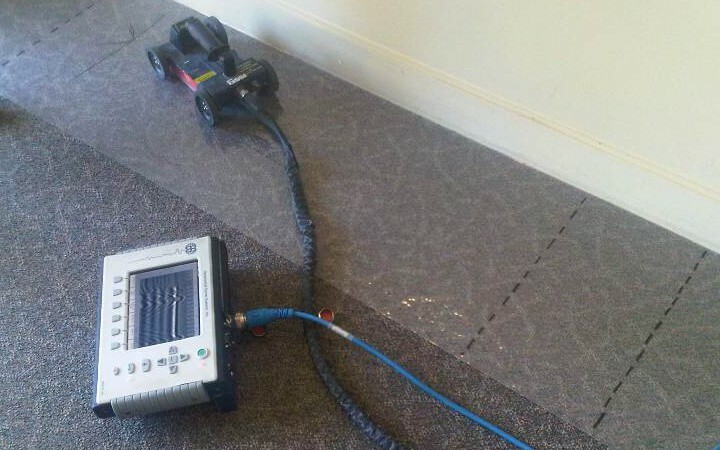 Geelong Cable Locations has the latest concrete scanning equipment that sends bands of electromagnetic radiation into concrete and senses objects that are of a different density from the concrete. This information is then read via radar – giving our technician information that helps identify the object. Whether you’re a large contractor working on a huge project or a home renovator, and no matter where you are in Victoria, we can apply Concrete Scanning to help you. Just get in touch now.